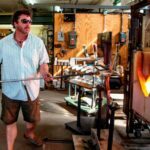 Anchored by four hot-glass studios, tour goers will have an opportunity to meet the glass artists, tour their studios and see first-hand the process of creating original art work. 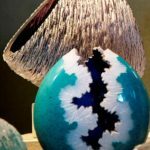 Open studios include Brent Kee Young, Mark Sudduth, Kari Russell-Pool, Marc Petrovic, Mikula Glass, Robert Coby, Scott Goss and Superior Hot Glass Studio. ArtSpace-Cleveland is a resource for artists to find studio space in the city of Cleveland. 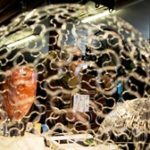 Their annual Trolley Tour of Artist Studios promotes the city, and raises an awareness of the impact of artists on the local economy. Supporters of the tour include the Cleveland Institute of Art and MidTown Cleveland. Special thanks to Dominion Energy, Prizm the Art-Supply Store and Forest City Foundation for their continued financial support.